May & Raeburn are excited to have teamed up in Chilled foods with one of the UK’s leading snacking brands for an exciting unique launch. Cadbury Choco Milk Snack will launch in selected major retailers in both the UK and Ireland in October 2018 before being launched nationally with other retailers in the new year. Available in both a 4 pack and single bar, the products are sure to be a big hit with Cadbury Chocolate lovers everywhere. 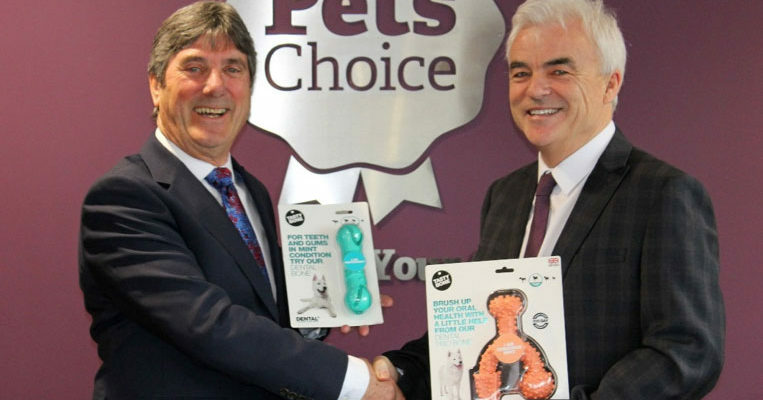 Leading pet food manufacturer Pets Choice Limited are delighted to announce the acquisiton of pet brand, TastyBone. TastyBone is the UK’s no1 manufacturer of nylon edible and rubber chew and play toys. The acquisition took place on 3rd March 2016 after founder and managing director, Ken Seymour, made the decision to retire and search for a suitable buyer. Darrell Lea is excited to share this trade announcement that May & Raeburn Ltd. have been appointed as the exclusive UK distributor for our soft eating liquorice range. This appointment will commence from the 1st of February, 2017. Darrell Lea and May & Raeburn have some exciting new packaging and NPD planned for 2017 that we look forward to bringing to the UK market. Your designated account manager will contact you shortly to formally introduce the product range and/or assist with such vendor transfer administration required to avoid any interruption and keep your shelves fully stocked. If you have any questions, please feel free to contact your May & Raeburn representative or myself directly. We thank you for your continued support of Darrell Lea. Pets Choice have produced quality pet food since 1881, manufacturing and providing food and treat products for dogs and cats under our Webbox, Davies, Oceanic and Goodwyns brands. As well as our branded product, we also produce private label goods. Our services include packaging design, fulfilment and logistics alongside the manufacture of food and treats. We are a trusted partner for extruded food, moist food and retorted trays and baked fresh meat treats. We have 2 manufacturing sites and a 140,000 sq ft warehousing facility and seek quality distributors, retailers & specialist pet independent stores to the join the Pets Choice family. If this is you, please get in touch. From humble beginnings making a small range of flapjacks in a kitchen in 1987 our company became the market leader in single serve flapjacks, a new range of muffins and cake slices followed this. Since then we have increased our bakery range to include lots of other special hand crafted treats. From our BRC accredited bakery here in Coventry our team are passionate about our products and customers, always looking for ways to make our products even more scrummy. For our customers we manufacture a full range of single serve and multipack format snacks. We don’t use any artificial colours, flavours or hydrogenated fats in our Oh So Scrummy products and use the best of ingredients to ensure deliciousness in all our products. We’re always working on new ideas and flavours for our customers so keep checking for innovative new products. Small client base we work with a small and reliable client base, enabling a much closer working relationship than normal, encouraging clients to attend meetings and have full input, and we never forget it is your business! At M&R we use a blend of research methods to ensure we stay ahead of curve and give our clients the most strategic and hassle free route to market.